As many of you may know, I am running a funding to convert the Billing for FusionPBX from commercial license to an open-source one. 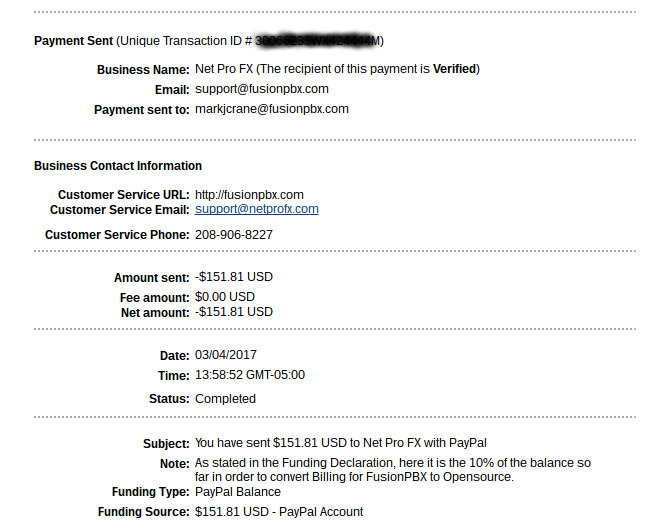 Today I am sending the first donation fo many to the FusionPBX project. 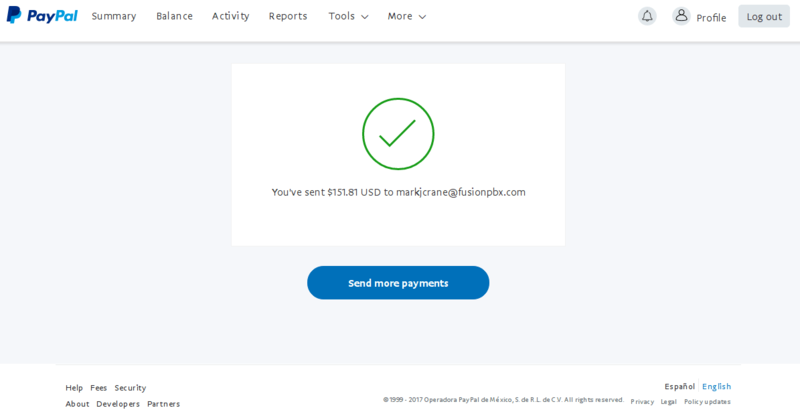 At the time of writing this article, the funding has reached 1650 CAD, taking out the 8% of FundMe commission it is a grand total of 1518.15 CAD. Here there are the screen shots showing that the promise it's been honored. By mistake, when I was writing this, I found I sent USD instead of CAD (funding is done in CAD). So I sent 151.81 USD, equivalent to 203.26 CAD. I just want to keep all clear in this funding. By the way, Billing for FusionPBX 1.1.0 is about to be released. There are new capabilities such as pseudo enum support, many bug fixes and better compatibility with FusionPBX 4.2.